Sibir has grown from a Novosibirsk based regional carrier to a pan-Russian major through both organic growth and the acquisiton of Moscow based Vnukovo Airlines and Perm based Perm Airlines. 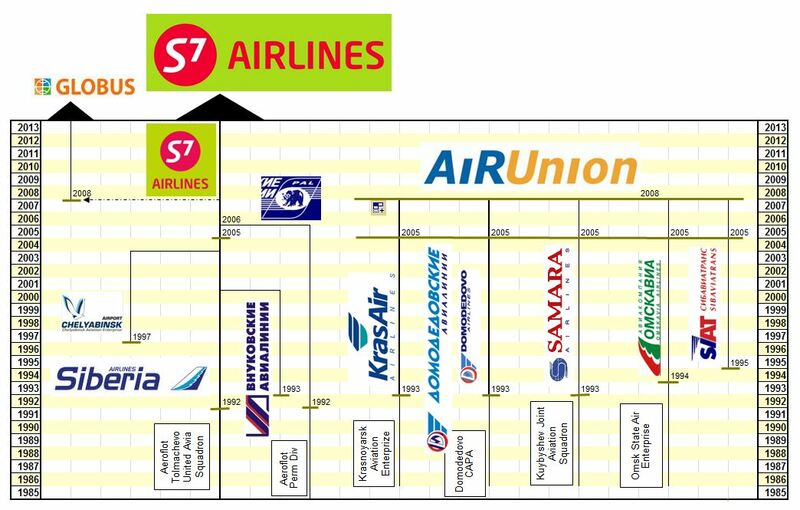 It has subsequently rebranded itself as S7 Airlines. AiRUnion was an abortive attempt to make a 3rd airline grouping in Russia by combining Kras Air and Domodedovo Airlines together with 3 smaller companies. The 2008 increase in fuel prices led to dramatic losses for the group and its resultant shutdown.